Let me introduce an interesting blog post that I read lately. 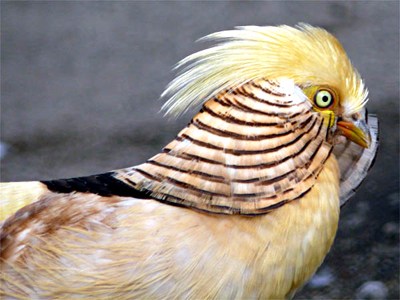 It is about a bird’s feathers. 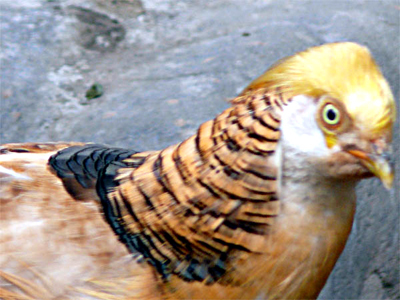 This is a bird called yellow golden pheasant. 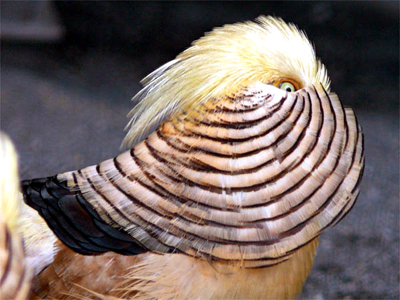 The stripes on the back of the neck becomes a cool looking thing sometimes. It looks like an European armor or a deformed robot. The third picture is especially interesting! What does it protect itself from? I would like to see it deformed for real. Has any of you seen it?